We are registered with the Waratah National Cat Alliance -Australia's first National Cat and Kitten Registering Organisation. 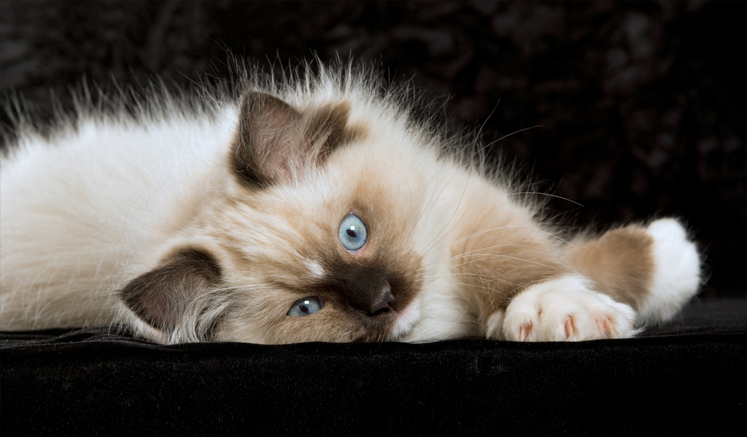 Ragdolls are very suitable for families with children as well as older people as they are very tolerant in their behaviour which makes them an ideal cat for a younger family. It is a good idea to select a veterinarian that is either recommended to you or one that you feel you can trust and talk to him/her about your interst in the Ragdoll cat. Make sure you feel comfortable with your vet as the two keys to a successful relationship with your vet are his skills and ability to communicate with you. A lot of people ask if Ragdolls are hypo allergenic. The answer to this is if you are allergic to cat hair you most probably will be allergic to a Ragdoll. 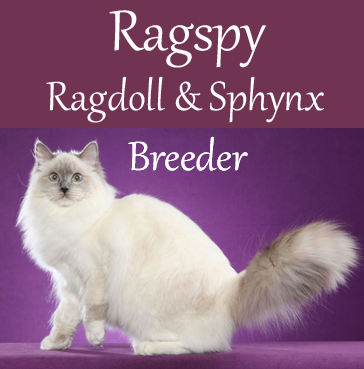 In saying this we have been told of many cases where an allergy person has been able to live with a Ragdoll cat. Again they are a breed that loves human contact so if everyone is out of the house all day consider buying two Ragdoll kittens at the same time for companionship. 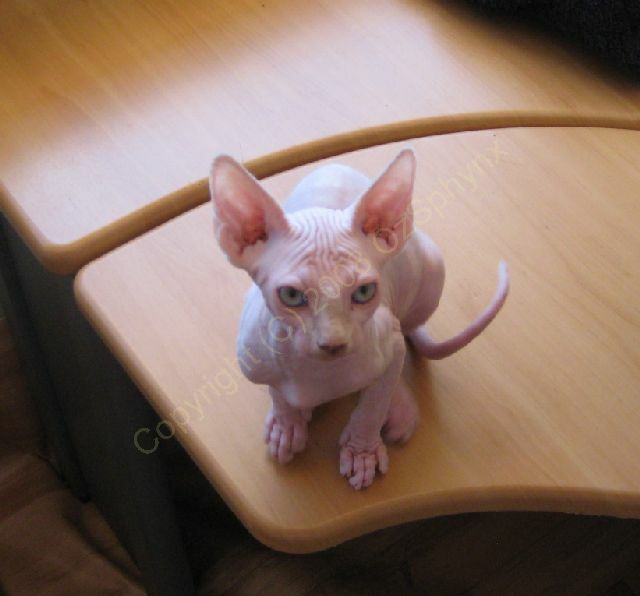 Sphynx are still not widely available throughout the world and many countries still do not have a Sphynx breeder. Unfortunately this breed has had more than it's fair share of adverse publicity mostly coming from people that know nothing about the breed. The breed may have started by a quirk of nature but beauty is in the eye of the beholder and to know one is to love one. We are the founders of this wonderful breed bringing the first breeding pair into Australia in 1995. We had them accepted for registration and championship status in 1996. Since this time we have put a lot of time, attention, devotion and knowledge into this breed. 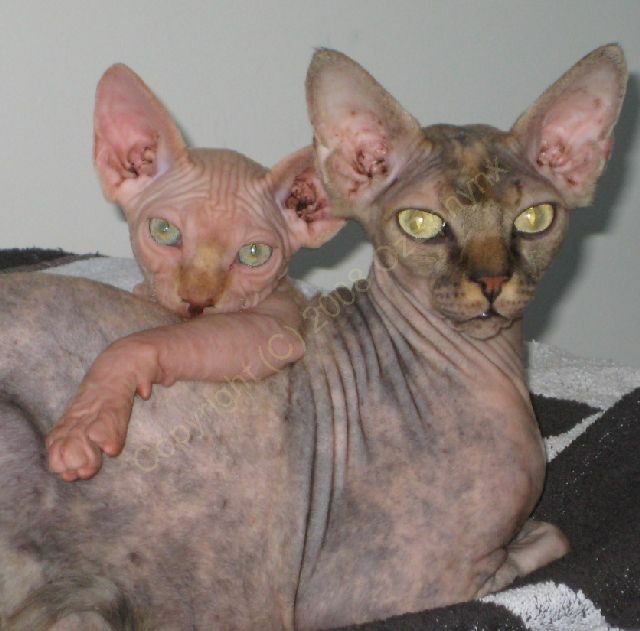 Together, with a wonderful veterinary practice, we have learned more and more about this quirky breed and our knowledge and information is now available by purchasing our book co-authored with OzSphynx called "Sphynx...The Australian Experience".